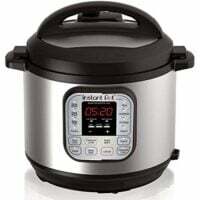 Continuing with my complete obsession with my Instant Pot I am bringing you a new recipe to try out. This is probably a very easy recipe to follow, and if you are a Tex-Mex type of family you will devour this. 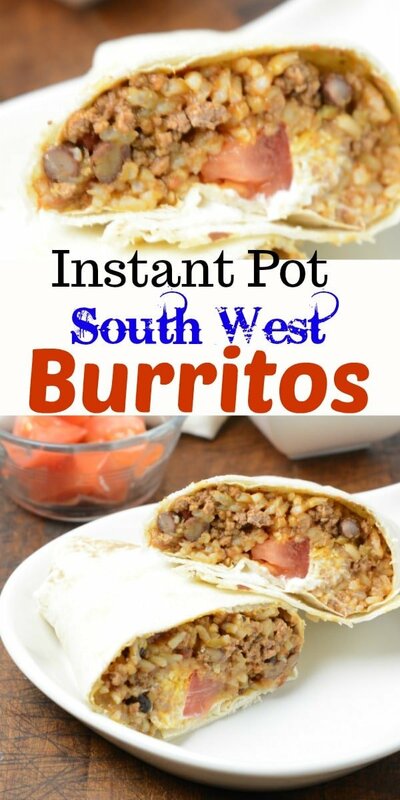 It is an Instant Pot South West burritos recipe. Savory meat, Mexican seasonings, rice, beans, and corn, served with your favorite toppings and warm tortillas! 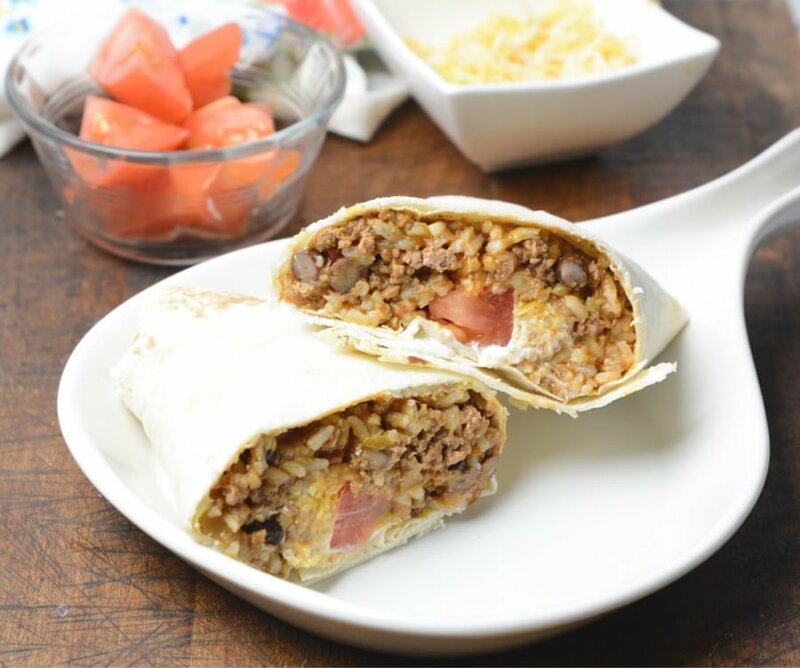 What I love about this Instant Pot South West burritos recipe is that it is so easy and versatile. If you don’t like beans, leave them out, want chicken or ground beef, or even turkey, go for it! You can adapt this recipe to fit the needs and flavors you want. 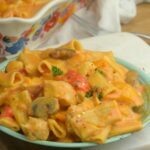 This recipe is easy to whip up, serve it to your family, and watch them walk away feeling stuffed and smiling because the flavors are so scrumptious. We were having a pretty busy week last week and I just needed something really fast to make because to be honest supper slipped my mind. I don’t know if you ever get that way, but I get busy and then the next thing I know I look at the clock and think what do I make! I try to keep a schedule with meals for the week, but I decided to wing it for the week and that didn’t go well for me. So I raided the pantry, fridge, and freezer and figured I had all the ingredients for these burritos so I whipped them up. They hit the spot perfectly, and dinner was a success. No one knew it was a last minute meal idea, or I had spaced out about the time. 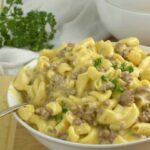 Plus with the weather starting to get warm, I like having quick and hearty meals to serve my family so we can spend more time outdoors and enjoy nature and the nice weather. 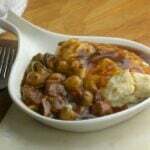 So add this to your menu and see what you think! 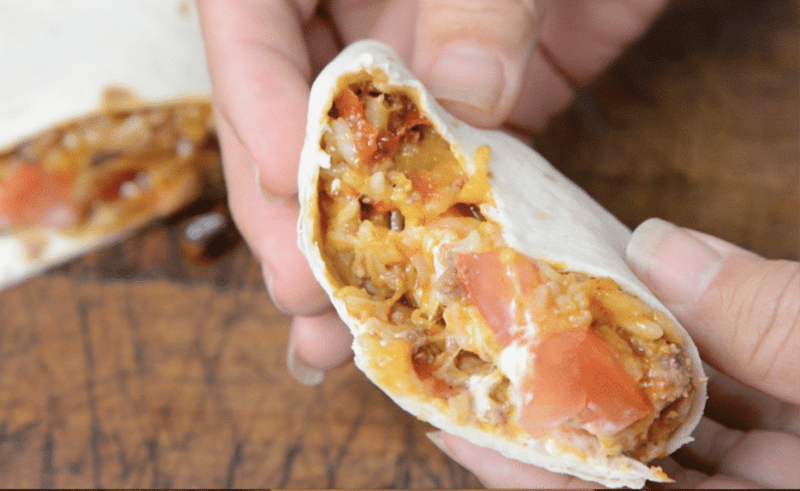 Instead of tacos whip these burritos up for Taco Tuesday! Savory meat, Mexican seasonings, rice, beans, and corn, served with your favorite toppings and warm tortillas! 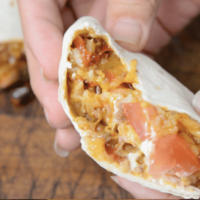 Fill each burrito shell with mixture and add your favorite topping. When do you add the corn and beans? How would it change the cook time if you were to use brown rice instead? Can I double this in a 6 qt? Did you end up doubling in a 6 qt Carlene? I have the same question! This looks good. It looks easy to make and can be adapted to individual taste. Can not wait to try it! I see no corn in the original recipe. When do you add the water? Do you drain the black beans? What kind of pressure release? In making this recipe, it doesn’t say if the beans are to be drained and rinsed and when to add the 3 cups of water to the pot. Can u add this info?